The "Sent from Heaven" singer has expressed her dislike for Beyonce's new single "Bow Down". And the singer took to twitter to express her displeasure. "Can't stand when people all self righteous when it's convenient it makes them look good,"
she wrote, calling out the "Love On Top" for her aggressive song. "But can still talk sh-t when convenient 2 FOH." "First 'Women need to Stick together' now b- tches better Bow," she continued. "Smh. But it's all G! 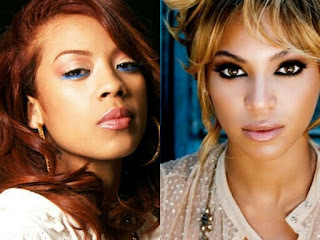 Chicks stay shooting the sh-t…"
Fans of Beyonce were quick to come to her defence and bashed Keyshia College for her remarks. "Keyshia Cole and Chris Brown are two artists that really shouldn't have twitter accounts,"
"If @KeyshiaCole put as much energy in her struggle music as she did twitter beefing she would be as successful as Beyon... Nvm,"
"I done kept it real from the start! #RespectTHAT."